Common name: Great wild valerian, Phu, Setwall, Capon’s tail, all-heal, Amantilla. Habitat: Valerian is a perennial plant that grows to 3 feet and prefers full sun, average to rich well-drained soil, it flourishes mainly in Europe and Northern Asia and its roots are harvested for medicinal use in the fall of their second year. Part used: Root is the main part, which is used. Common Use: Valerian has been used as killer of anxiety and sleep disorders. It is also used for other diseases like depression, headaches, trembling and irregular heartbeat. Actually roots of valerian are generally used to create supplements such as tablets, capsules, liquid extracts in addition to teas. • Well, there is not sufficient scientific proof to conclude whether valerian uses for anxiety or other diseases, for example headaches and depression. • Study suggests that valerian may be useful for insomnia (sleeping disorder), but there is not sufficient verification from well-made studies to verify this. Valerian has uses in herbal medicine as a calming. Habitat: The Vervain is an ordinary perennial wildflower which found in England, growing in meadows and at the edging of roads. It grows 1 to 2 feet tall. It has a preference full sun light, normal to rich soils. Vervain is grown all through mild North America. Vervain is self-sows but quite short-lived. Part Used: The flower and leaves are the parts used medicinally. Common Use: Vervain is commonly used to cure the liver and related diseases to the liver, fatigue, exhaustion, fever, asthma, and post-natal depression, insomnia, in addition to painful or asymmetrical menses. Vervain is frequently suggested these days to boost flow of breast milk, plus to treat menstrual pain and insomnia. It should not be used in pregnancy. Like sour plants, Vervain has been used to rouse hunger and digestion. Other conventional uses comprise treating fevers, abdominal spasms, depression. 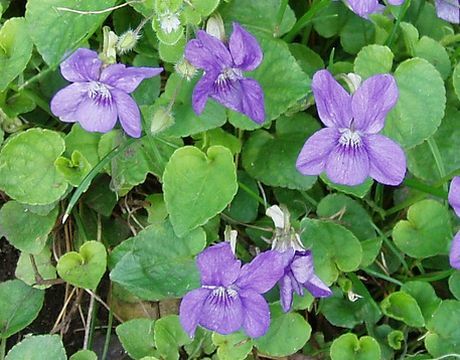 Habitat: Violet is mainly a European perennials. It flourishes throughout North America and usually can be found flourishing any type of soil. Edible as well Medicinal, the leaves and flowers of viola are prepared into syrup used in option drug mostly for respiratory diseases connected with sore throat, congestion, and coughing. Flowers are edible. It is used as food additives for example candied for decoration, in salad, and made into jelly. Violet is an effectual healer for interior ulcers, evil growths. It is used both externally and internally for abscesses, swollen glands, tumors and pimples. The earliest Greeks measured the Violet a sign of love and fertility; Violet is used in love potions. Violets are effortlessly cultivated throughout seeds or root cuttings. With over 900 species, plant identification to the precise is a proficiency in itself. Nevertheless all have practically the same edible and medicinal herb values. Habitats: Sunny Edge; Woodland Garden; Dappled Shade, Vitex flourishes in central Asia and Mediterranean countries. Parts used: The dried fruit is used, that has a pepper-like flavor and aroma. Vitex is used in herbal medicine planning. Common use: This herb normalizes the reproductive system, treats infertility, PMS, menopausal problems and hormonal imbalances. Vitex Agnus-castus has been used for several years for its useful influence on the women hormonal system. The fruits and seeds are aphrodisiac, anaphrodisiac, stomachic, galactogogue, sedative, ophthalmic, women’s complaints. Regrettably, the berries are not likely to be created in the climate of British. It works upon the pituitary gland, reducing the production of definite hormones and escalating the production of others, shifting the balance in errand of the gestagens. Decoctions of the fruit and plant were also used in sits baths for diseases of the uterus. In addition, Vitex was believed to suppress libido and inspire chastity, which explains one of its common names, chaste tree. The flowers of Vitex are used to make a perfume. A yellow dye is found from the leaves, the roots and the seed. Regrettably, the seed is very implausible to be twisted in Britain.